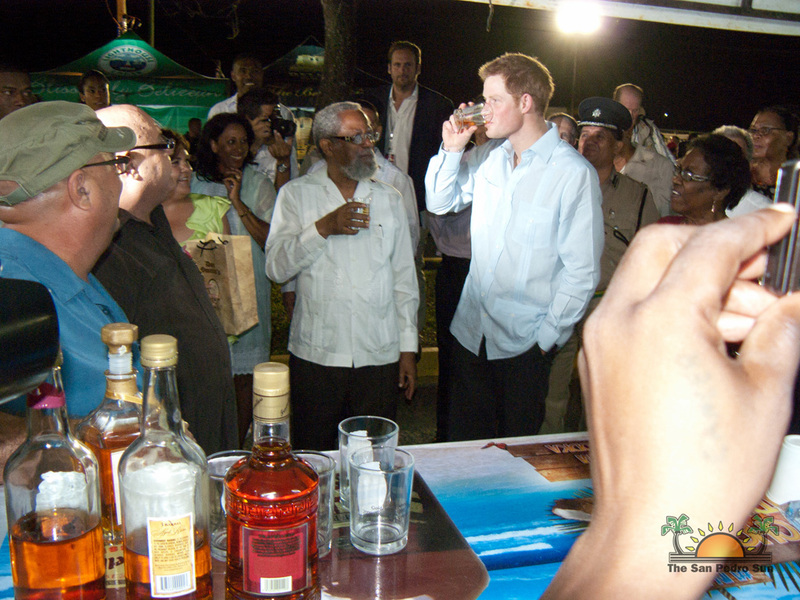 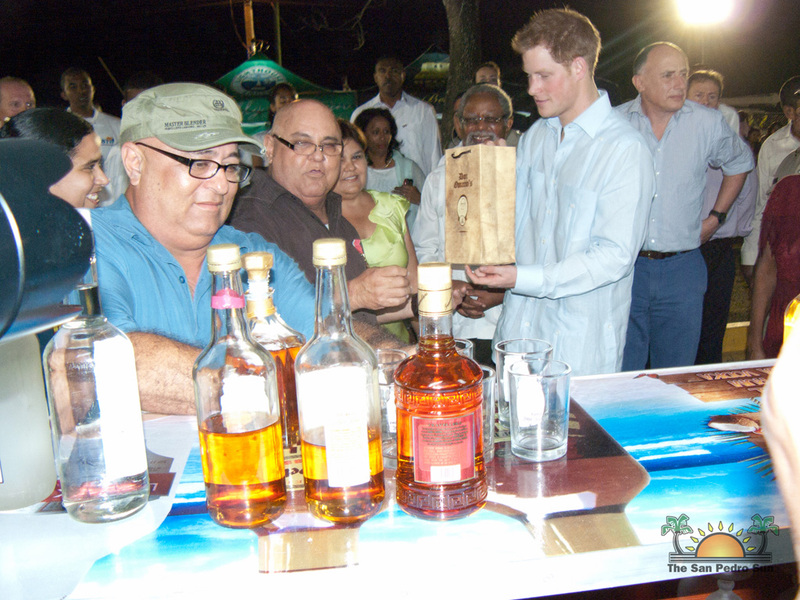 Prince Harry, Captain Wales, arrived at the Diamond Jubilee Block Party in Belmopan this evening where he was welcomed to the community and honoured in the renaming of Cohune Walk to the Queen Elizabeth II Boulevard. 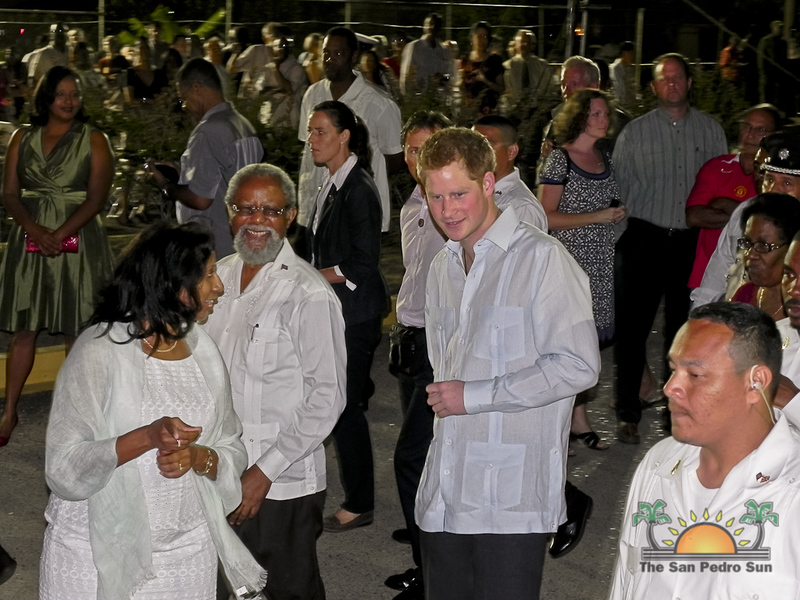 As Prince Harry was announced entering into the grounds, a jubilant crowd of Belizeans cheered, clapped and chanted for the Prince, some with signs saying "Welcome to Belize." 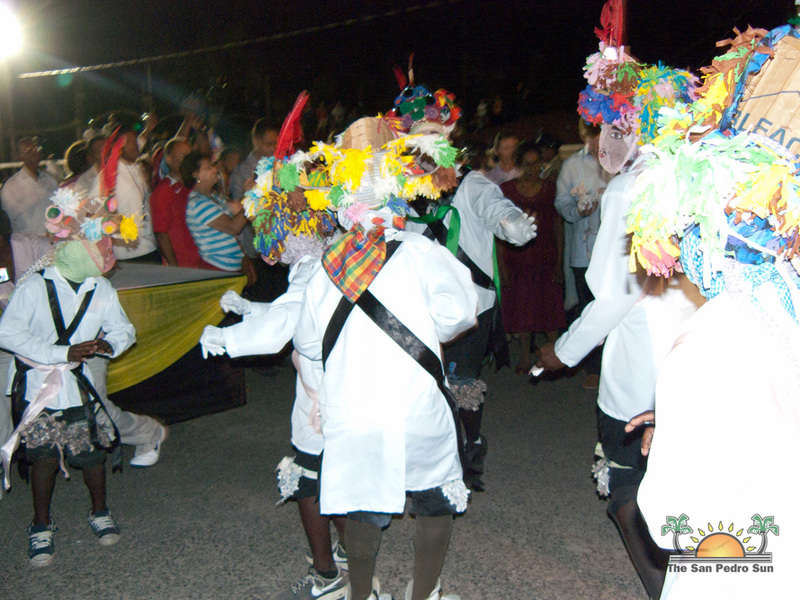 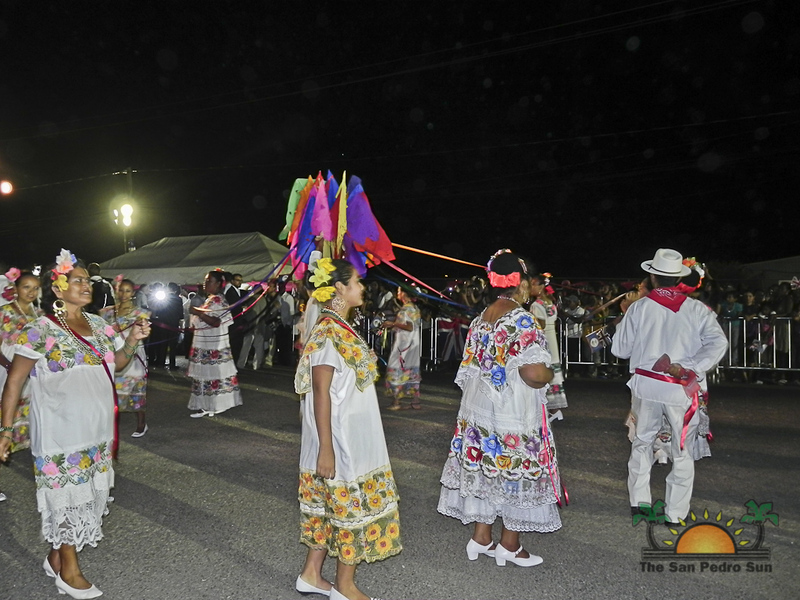 During his arrival the Our Lady of Guadalupe Panarifics played popular Belizean 'bruk-down' style steel band music. 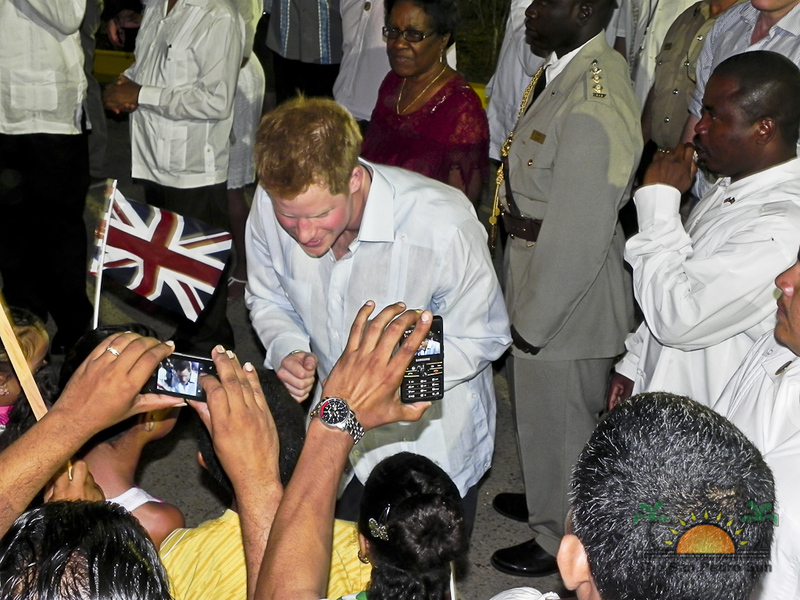 Just as the Prince made his way to the stage, he was welcomed with a loud round of applause. 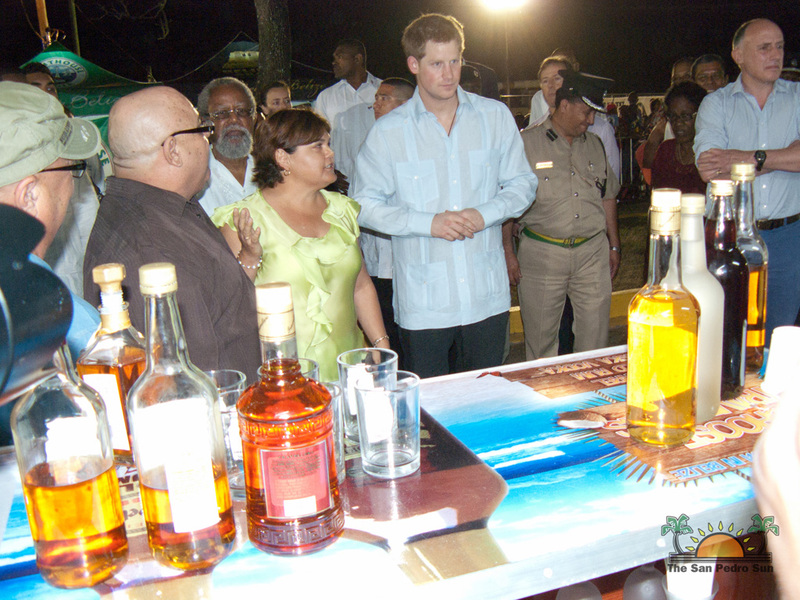 In welcoming the young Prince to the party, Mayor of Belmopan City, Simeon Lopez reminded Prince Harry about the contribution that Queen Elizabeth II made to the financing of the building of our capital city, Belmopan. 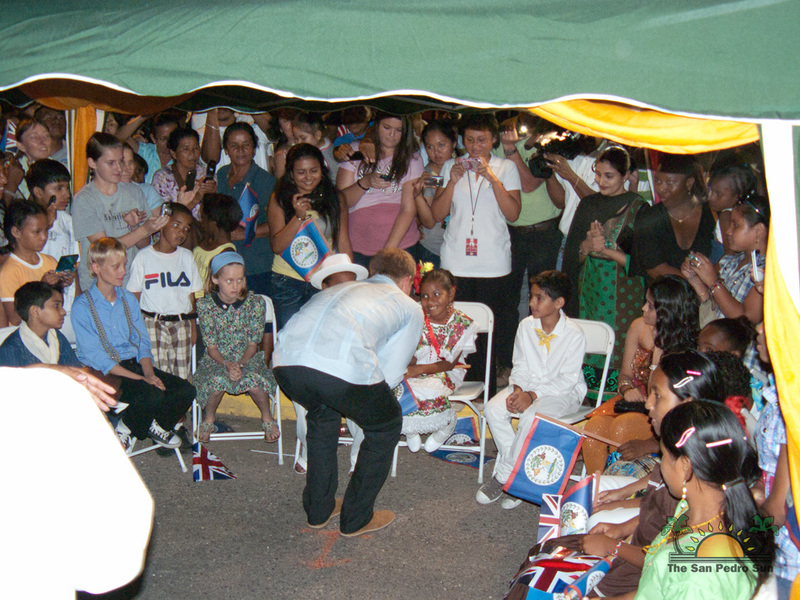 He said that it is a privilege for the people of Belmopan and Belize to Honour Her Majesty on her Diamond Jubilee. 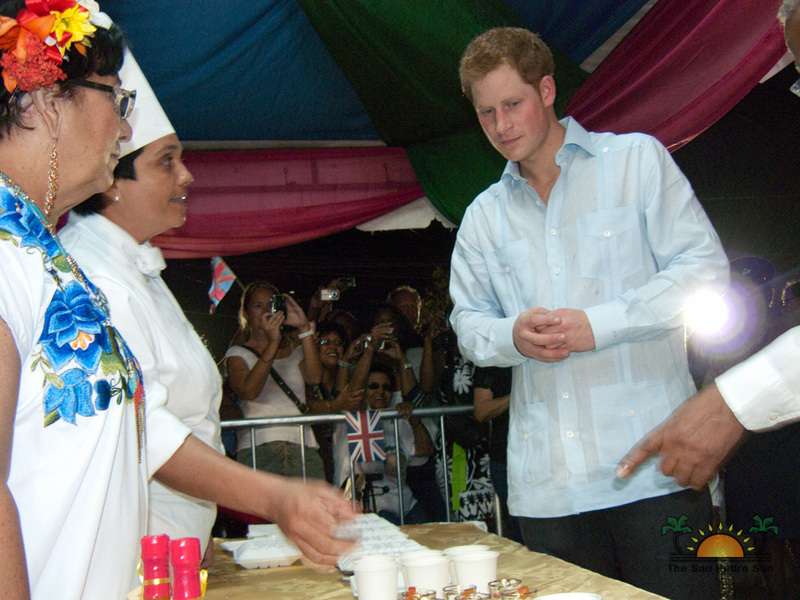 In delivering a greeting on behalf of the Queen, Prince Harry said that the “the Queen’s fortune this year is the power of togetherness and the convenience of strength in family, friendship and good nativeness and this family says it all. 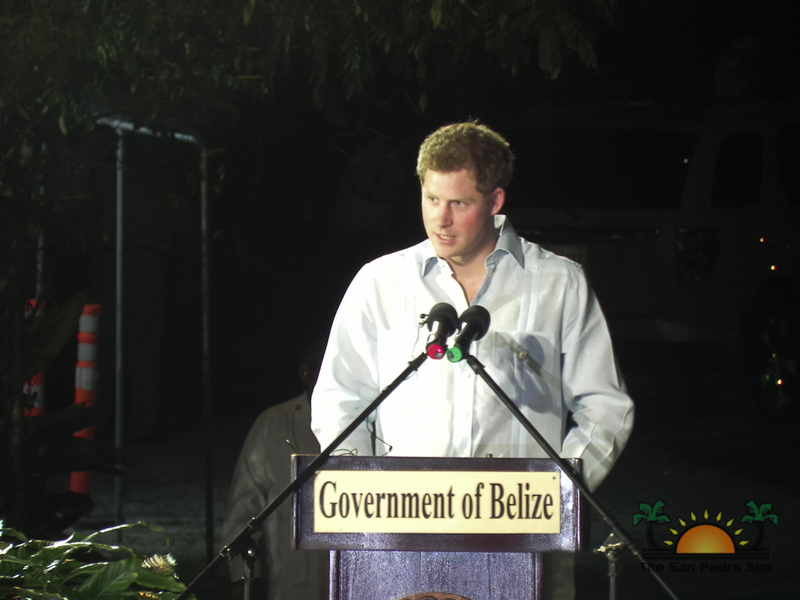 I bring you the warmest greeting from the Queen of Belize on this Diamond Jubilee we are celebrating here tonight.” While delivering the greeting, the crowd applauded Prince Harry, especially when he comfortably interacted with them. 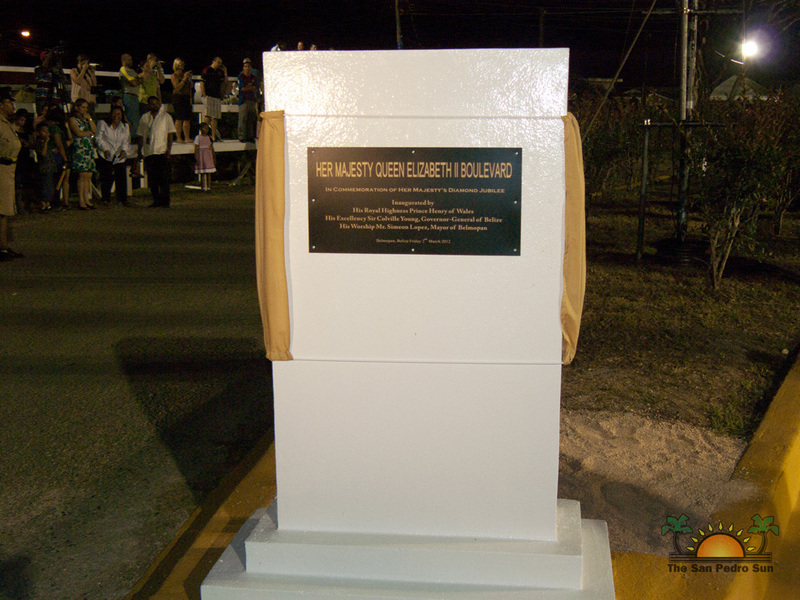 Prince Harry then proceeded to unveil the new plaque commemorating the renaming of Cohune Walk to the Queen Elizabeth II Boulevard in honour of Her Majesty The Queen of Belize. The plaque was unveiled before hundreds of Belizeans who came out with British and Belizean flags to party with the Prince. 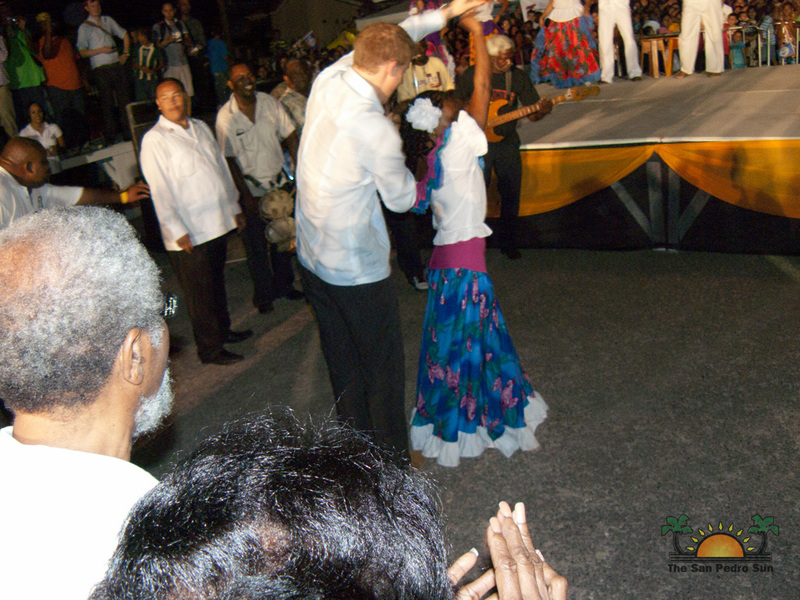 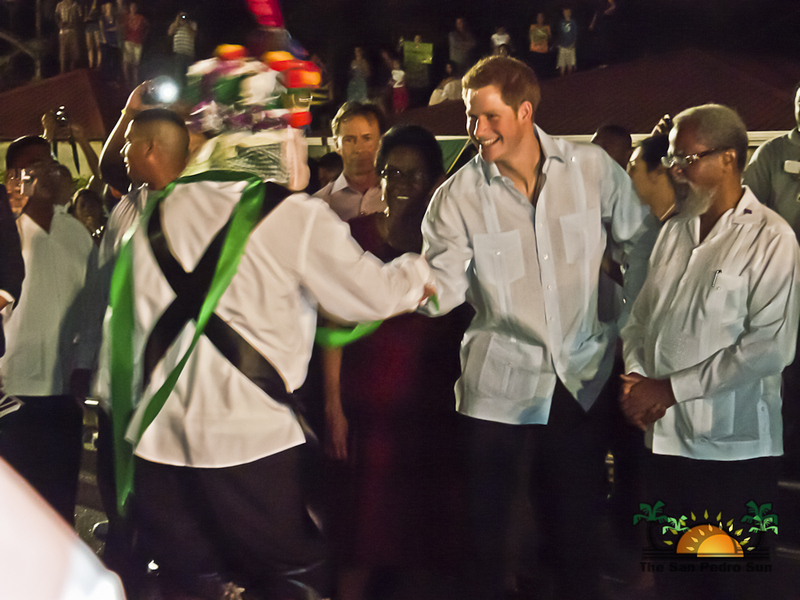 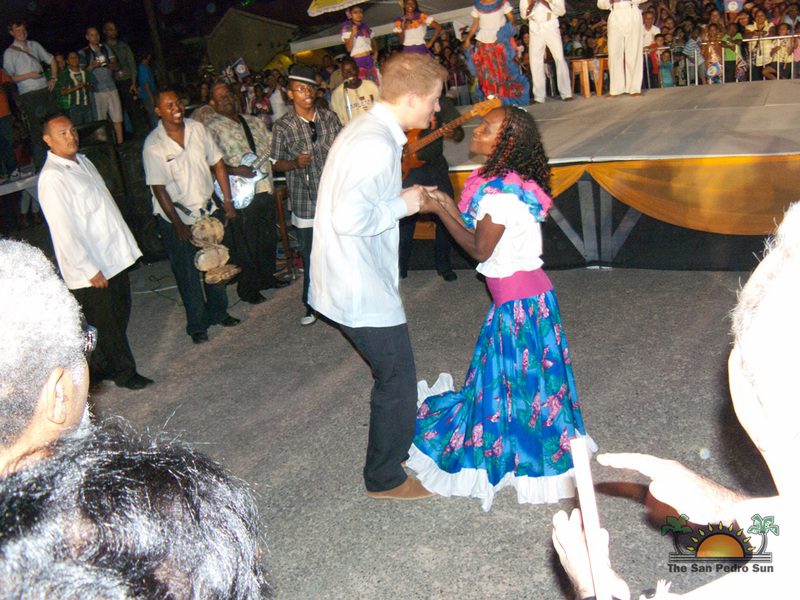 Prince Harry then proceeded to enjoy cultural presentations and even stopped to dance Jankuknu along with the Governor General of Belize, Sir Colville Young. 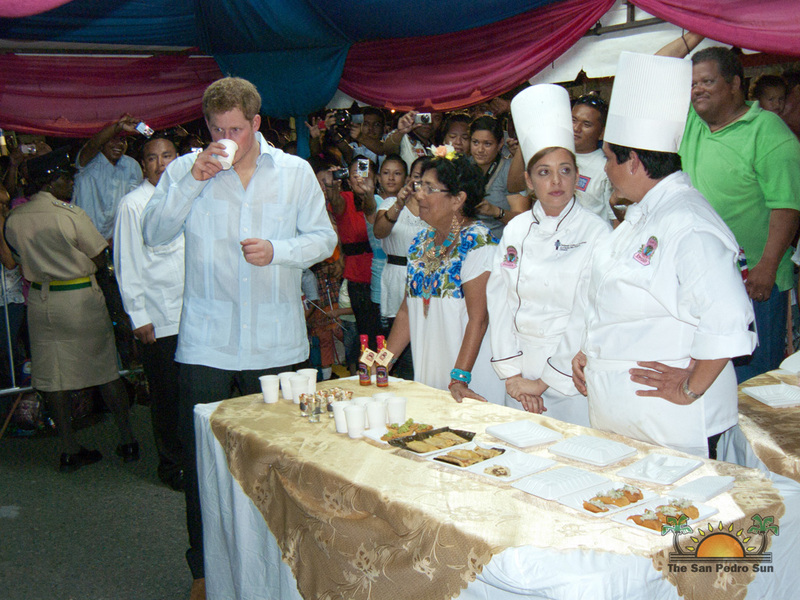 The Prince enjoyed a wide variety of Belizean food, including some prepared by Chefs from Ambergris Caye’s very own, Elvis Kitchen, and he even had a cold Belikin.